As Skip Fox’s Clouds has entered the binding stage, we’re gearing up for our next online issue! Please send us your best poetry/fiction/drama or visual art. We’re not considering chapbooks at the moment. Leroy, our mascot melted mannequin, is excited to announce we are now accepting submissions for our Spring/Summer online issue. We’ll be reading through May and hope to publish in June. Send us your best photos, artwork, plays, fiction, nonfiction, poetry, or undefinable. Dayana Stetco’s The Secret Enemy has been a big hit. Make sure you don’t miss out on our bestseller! Order your copy today. 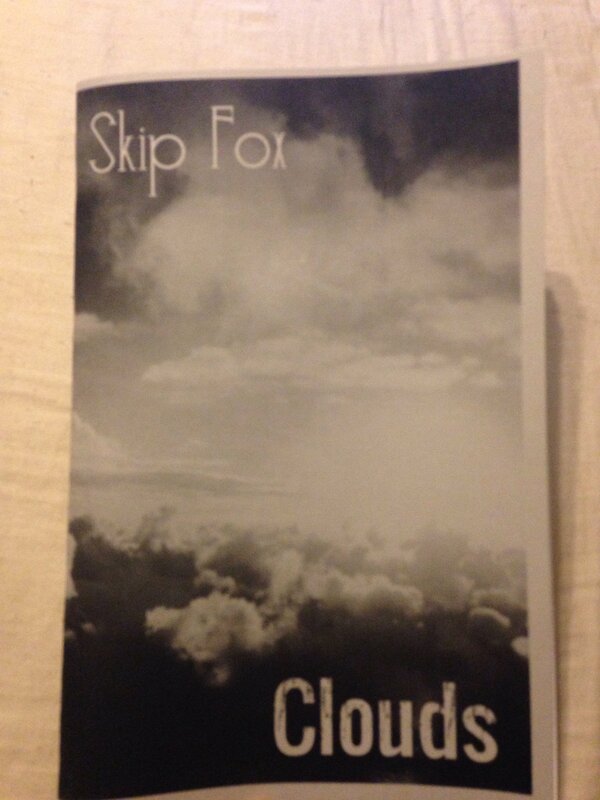 Also, here’s a sneak peek of our upcoming release, Clouds by Skip Fox. Stay tuned for more updates. Official release of Dayana Stetco’s The Secret Enemy and Other Stories! 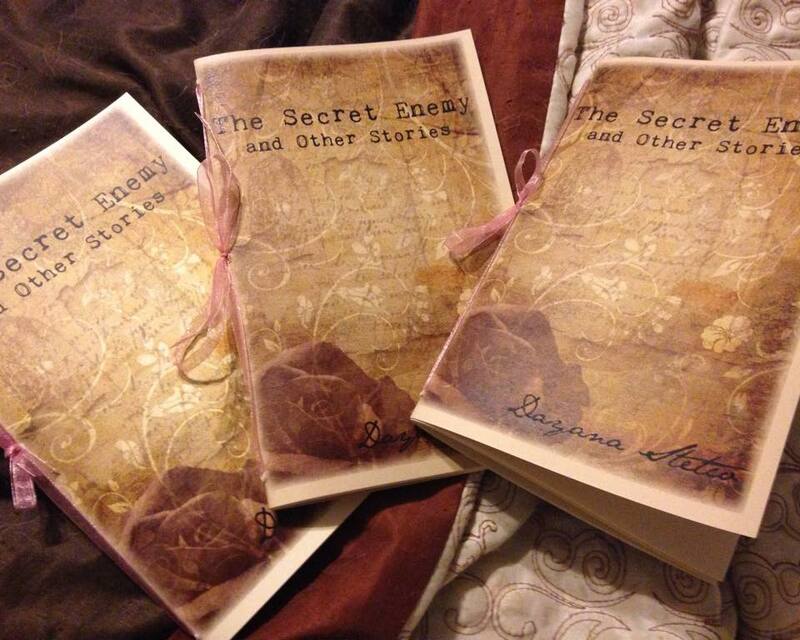 Dayana Stetco’s The Secret Enemy and Other Stories officially goes on sale today! If you ordered a pre-sale copy, they will be shipped out ASAP. Only a few copies left. Be sure to get yours. Tonight we proudly put Dayana Stetco’s The Secret Enemy up for pre-sale. The chapbook features a card stock cover, is printed on fine ivory linen, and is bound by hand-tied boutique ribbon. Each issue is individually numbered. Dayana Stetco’s book, Seducing Velasquez and Other Plays was released by Ahadada Books in 2009. Her fiction, plays, and translations have appeared in Requited, ElevenEleven, Two Lines, Packingtown Review, The Fairy Tale Review, Emergency Almanac, Masque and Spectacle, and others. She is the artistic director of The Milena Theatre Group. Missed us? Yeah we have too. Due to illness, we’ve been delayed with our latest releases, but March will be a big month for us. We hope to have Dayana Stetco’s Damage officially go on sale, Skip Fox’s Clouds to finish production for an April release, and a poetry tribute issue for Lou Gallo to hit our website. Thanks for all your support! Hope you all had wonderful holidays, and for those involved in academia, happy spring semester! 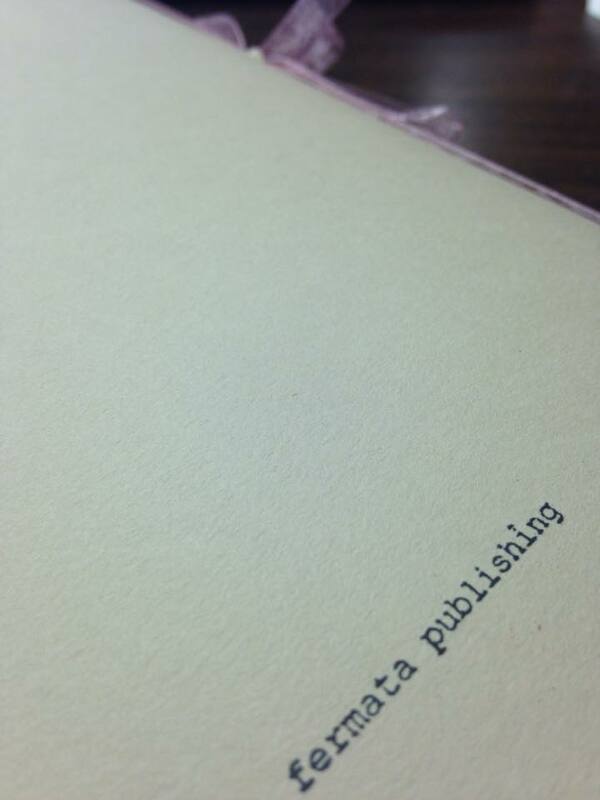 We’ve been busy with two chapbooks in the works and an online production. We can’t wait to show you our progress. Several folks were stoked about our latest release but were bummed at the long load times. So we compressed the file size for faster viewing and to make things better for you phone viewers out there. Thanks again for all the feedback. We’re constantly trying to make ourselves better, and it’s awesome that you guys and gals are helping us do so. Don’t worry, the high res file is still attached to the previous post just in case you need it. We tried to hold on to this, but it was simply too cool for us not to share. Please share with your friends and consider publishing with us in the future. We’re always accepting work, but depending on the time of the year, response times may vary. All new submissions can be sent to fermatapublishing@gmail.com. Thank you to all of our contributors. You all made this issue spectacular. Guess what we just put the finishing touches on last night? The second edition of our online journal! We know we promised it would be coming out in December, but it looks so cool, we may release it early. We do tend to get excited about things. If you missed out of being included in this one, please keep submitting! We won’t be releasing another issue until March/April, so don’t send us something and expect an immediate yay or nay. We like to get a few pieces together to establish the mood of the journal before making any final decisions. Happy Monday!